Client: City Vest is a shopping mall in Aarhus, Denmark with 70 shops covering about 45.000 m2. The mall lies in the outskirts of Aarhus, in close proximity to disreputable neighborhoods and ghetto-like conditions. City Vest has been in business since 1972, and they place a heavy emphasis on quality, mutual respect, friendly values, and their specialized sections for fresh and organic vegetables, meat, and fish. Purpose: The current City Vest brand has grown old and needs a facelift. 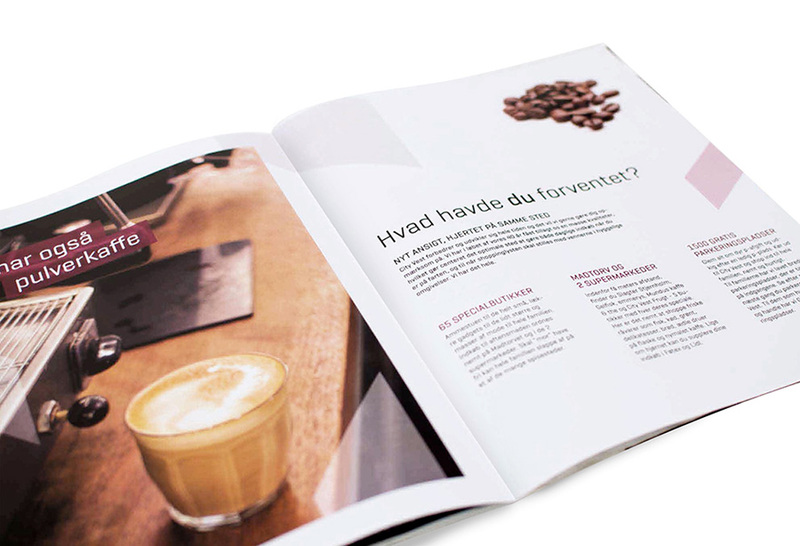 A more modern take on the logo and identity is desired, and the organic food section ("Madtorvet") needs to be further strengthened and emphasized in their marketing. Additionally, the bad reputation of their surroundings has rubbed off on their brand, which intimidates people from visiting the mall. This needs to be addressed within the re-launch campaign. Solution: City Vest is a great shopping mall, with excellent security and top-notch quality in products. Taking cues from their current brand and direction, we decided to do a complete make-over. It was important that this new brand reflected humor, warmth, cleanliness, and acceptance, in order to convince people that City Vest isn't as bad as everyone seems to believe. In fact, it's quite good. From the new logo, a piece was extracted to serve as a recurring element in the branding. 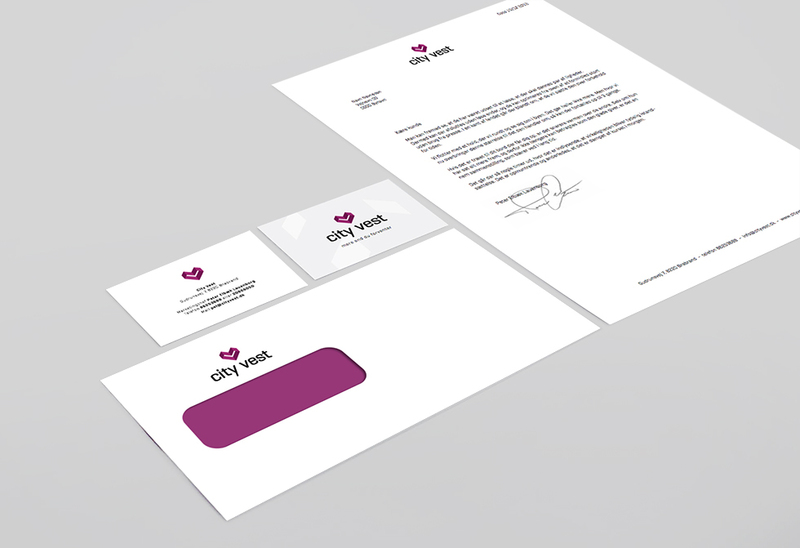 Updated stationery to match the new brand and color scheme. Insights and studies showed us that the majority of people who viewed City Vest in a bad light, had never (or rarely) visited the mall. The misconception was merely based on word-of-mouth and unfortunate location. Therefore we set out to send people a very simple message that would get their thoughts going. Make them realize that they're judging a book by its cover, and they should reconsider their opinion about City Vest. To do so, a slightly provocative question was constructed, but delivered with plenty of humor and tongue-in-cheek playfulness to 'soften' things up. While displaying the great qualities and diversities of the mall, we asked the consumer: "What did you expect?" ("Hvad havde du forventet? "), to show them that City Vest is no worse than any other mall. Posters with the new advertising concept. First one reads "We also have tennis socks". Second one reads "We also have canned tuna". Third one reads "We also have instant-coffee". City Vest has special 'quick-parking' spots right in front of the mall. You're only allowed to park there for an hour. They call it "cheetah parking" (gepard parkering). A gift box with chocolates and a small gift card to bring people to the mall. Employees would hand these out at a small event in the streets of Aarhus.